I've seen this band's name around lately, but haven't had a chance to sit down and give it a fair listen until now. I'm impressed by the musicianship and the recording quality, though the vocals are a bit of a weak point to me. 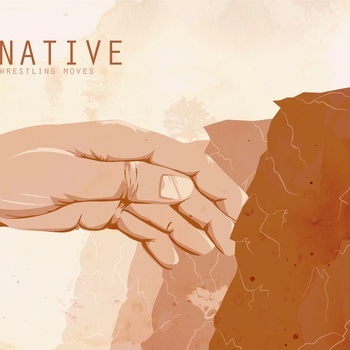 Native takes on a bit of the noodly, effect driven style guitar sound which may remind you a bit of Minus The Bear or Algernon Cadawalder. Other times the band gets more straight forward and fills the space with big, strumming chords. Of much note is the drumming on this record. It's precise and exciting, but never sounds forced or rushed. The record lends itself to a large, roomy snare sound, which benefits the overall attack. With average song lengths over 4 minutes, Native incorporates a good deal of twists and turns into these 10 songs. There's no verse/chorus format happening here; this is a labyrinth of parts that build off each other. There seems to be quite a bit of instrumental showcasing, where the vocals take a break for extended periods of time. This parts work due to the intricate playing and at times I found myself liking those aspects better.